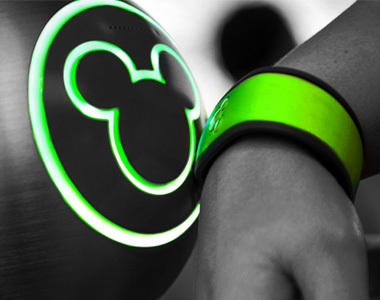 In the field of wearable technology, Disney’s MagicBand smart wristband system is in a class all its own: seamless, practical, far-reaching, and dare I say, magical. 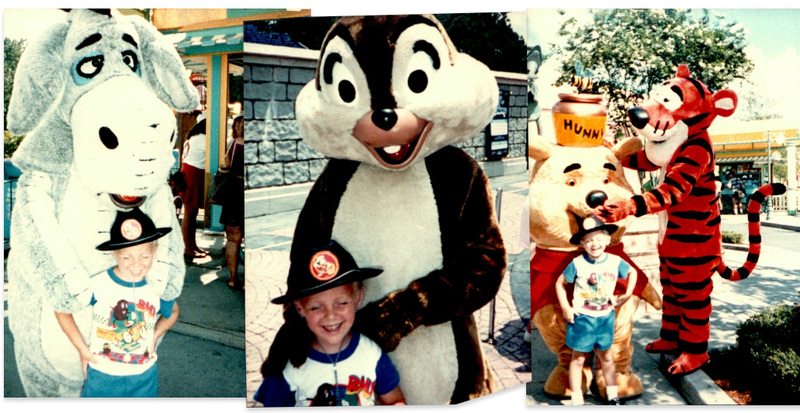 I grew up going to Disney parks (that’s me, above, with some Disney characters — back before MyMagic+, when they didn’t automatically know my name), so it was no great surprise to me to learn that the Magic Kingdom was the first big destination to get this kind of experience right. Observing the minute details that made Disney parks so “Disney” was one of my favorite parts of going there as a kid, watching closely as my dad pointed out the speakers cleverly hidden in castle walls, or the way the trash cans were spaced just widely enough that there was always one in view. This attention to detail was a direct result of Walt Disney’s obsessive focus on customer behavior, and has probably been one of the biggest influences on my own ideas about good user experience. 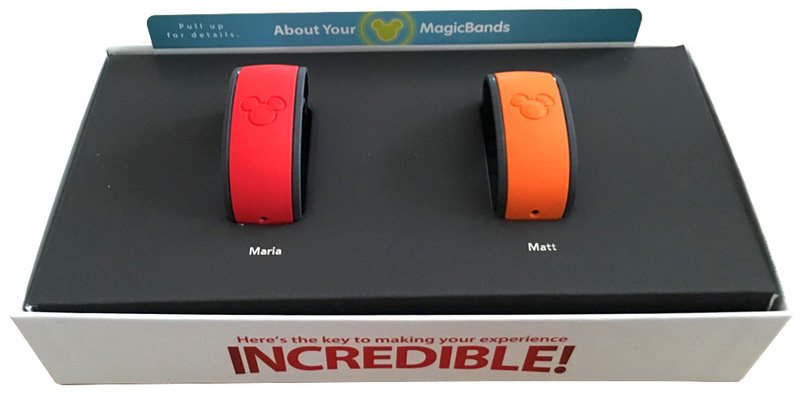 This is part of why I was so excited to go to Walt Disney World last month with my wife and friends: not just to experience the Disney universe again, but to observe the MagicBand system firsthand. 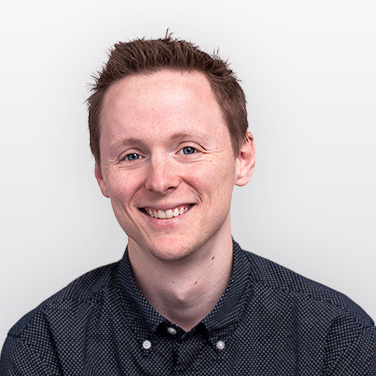 If you’ve followed the wearable tech space for any length of time, you’re probably familiar with the basics of MyMagic+, so I won’t rehash them all here. Suffice it to say, it’s a remarkably elegant way of simplifying the many access and transaction points, from park and ride entry to food purchases to unlocking your hotel room door, that could interfere with the flow of a theme park vacation. What struck me most, though, wasn’t how easy the system made it for me to get on a ride or buy a pair of mouse ears, but rather the dozens of little personalized touches that put me front and center. Exhibit A: You’re a Rock Star! Accessing a popular ride, like the Aerosmith Rock n Roller Coaster, is made easier through the Fastpass system: Reserve an entry time through the MyMagic+ app, tap your bracelet on the entry post (pictured, above), and you’re riding in just a few minutes. But during those few minutes, something amazing happens. Not only does an employee greet you by name, but the entire environment updates around you. 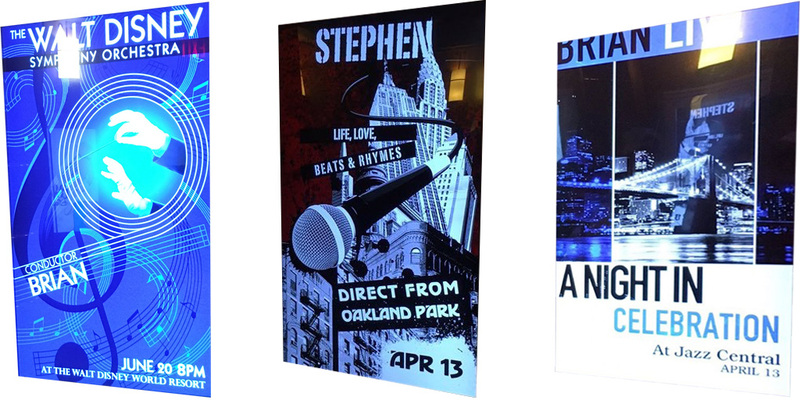 Waiting in the queue, you might be surprised to find your name on a digital gig poster for an orchestra or punk band. Kids squeal in recognition, and teenagers take selfies in front of “their” posters. (Now, if only the MagicBand would allow you to remove Aerosmith from the ride altogether, you’d be all set.) These personalization elements are apparently all part of the StoryMaker initiative being rolled out by Disney. Exhibit B: You’re a Car Designer! 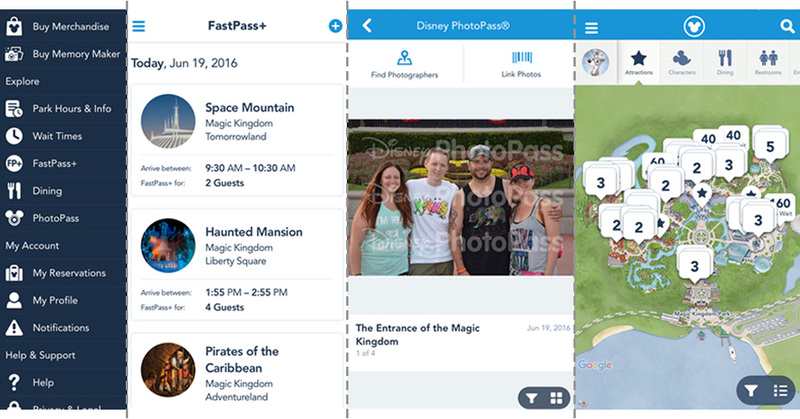 Over at Epcot Center, two attractions in particular take this digital personalization experience a step further. 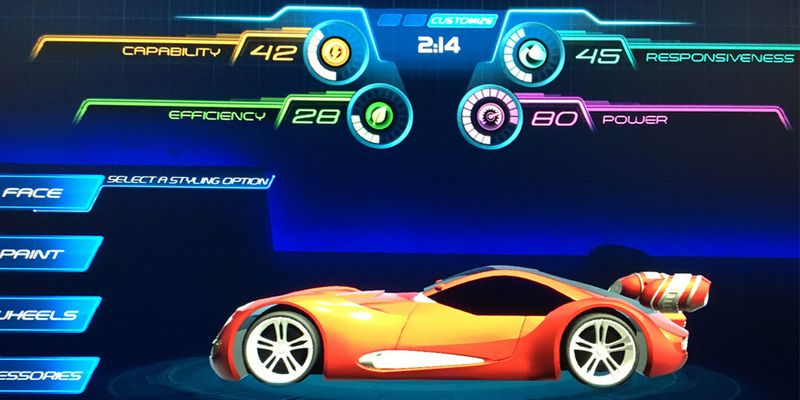 Before pulling out onto the road in the new Test Track ride, guests are invited to design and customize their own car via a simple touchscreen kiosk; the MyMagic+ system saves this design to a specific wristband ID, so when the ride is finished you can view stats on the vehicle’s performance. You can even race a miniature version of the car against other designs. Exhibit C: You’re an Astronaut-in-Training! Disney’s design philosophy could easily be: Make the experience seamless for guests, and look for moments of delight everywhere (even while waiting in line). And wherever possible, make it personal. Disney puts tremendous effort into concealing the mechanisms of personalization in order to foster a greater sense of fantasy. 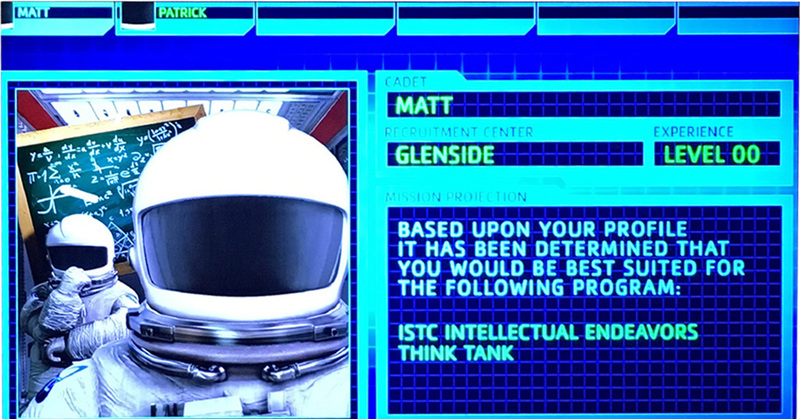 The mystery of how Mission: Space chose Intellectual Endeavors as my particular course of training was part of the magic. Stop worrying about how it works, the whole experience suggests, and just enjoy that it does. Disney fosters a greater sense of fantasy by concealing the mechanisms of personalization. When I was a kid, one of my favorite features of the Haunted Mansion was the ethereal ghosts you saw in the mirror just as the ride was ending, hitching a ride back home with you. Today, that same ghost holds a sign saying, “We’re following you back to Pennsylvania.” Perhaps this is accomplished through an RFID reader in the car itself, perhaps it’s part of the Fastpass registration process, or maybe it’s something else entirely — not knowing just adds to the delight. This is not to say that every maker of wearable devices and smart environments should go to Disney-like lengths to conceal their actions. Not everything is a theme park, after all. But it does suggest that there are more advantages to an integrated digital ID system than just removing steps from a familiar task. 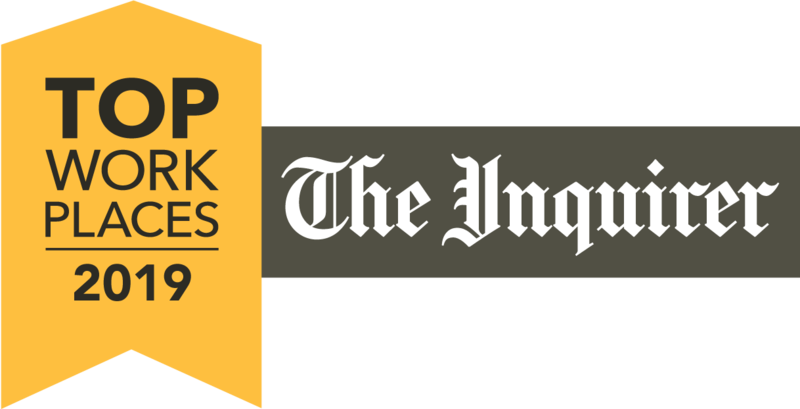 It also suggests that the less intrusive the mechanics are, the more users will enjoy them: when something good “just happens,” it endears customers in a way that goes beyond logic. What Could Disney Do Better? If I had any improvements to suggest for the MyMagic+ system, it would simply be to emphasize these qualities of seamlessness and delight even further. 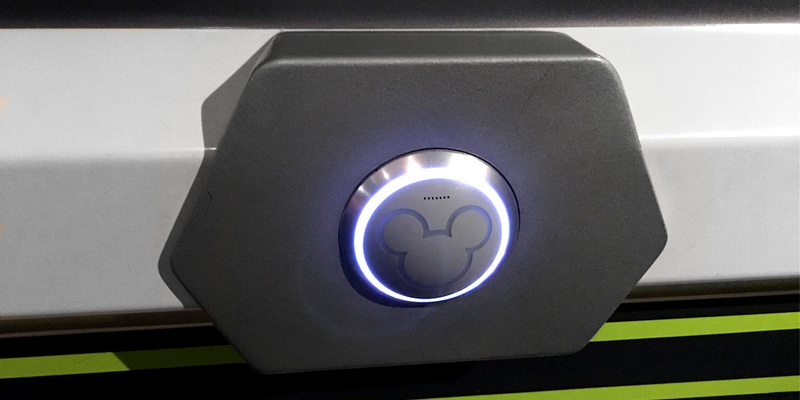 Right now, every guest must tap a MagicBand to a sensor post dozens of times a day, but improved RFID sensing or even facial recognition could eventually dispense with this slight interruption. If a user could forget that he or she is wearing a band, the experience would be far more special. Today it’s possible to have Disney characters greet kids by name in certain controlled environments, like an attraction waiting area or a special breakfast; what if this could be expanded to characters throughout the park? The biggest immediate opportunity for improvement is the MyMagic+ smartphone app. While functional, it has some fairly obvious UI flaws, like forcing users to repeatedly select which park they’re in when making a reservation or looking up information, rather than making this a persistent setting (or simply using GPS to know where they are). Numerous other small hiccups add one or two steps to actions that, by now, everyone knows could be more streamlined and intuitive. If anything, this is a testament to how mature app design in general has gotten — the typical smartphone user uses apps by Google, Uber, Apple, Facebook and other titans of UI design, and the bar for ease of use is astoundingly high here. It’s one of the few areas where the industry at large is more sophisticated than Disney. In most other arenas, though, Disney is still right at the forefront, and showing the rest of us how it’s done. If we want the world of wearable devices or smart environments to reach its full potential, the designers might want to start with a day or two in the Magic Kingdom.